MyFord Touch boosts the Ford Sync vehicle system with improved voice-recognition and touchscreen interfaces, plus a new feature that brings your Internet-based apps to the dashboard. CES gearheads got giddy with today’s unveiling of MyFord Touch, the newest rendition of the Ford Sync, Ford’s dashboard-integrated, voice-controlled car connectivity system. This version streamlines and consolidates vehicle control commands into some lovely touchscreen interfaces and it also introduces a feature that will allow the car to communicate with the Internet-based applications on your mobile device. 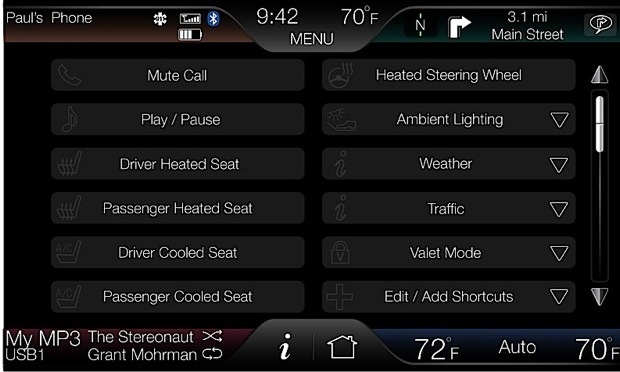 So for example, not only can you use MyFord Touch to give your car KITT-like instructions to crank up the heat, but you could actually use it to cue up the Knight Rider theme on Pandora. Ford Sync’s existing hands-free features like navigation, climate control and media player started finding their way into 2010 models. On the MyFord Touch, all that information will still be voice-activated but will now be readily available in three locations: In two 4.2-inch screens in the dash controlled by five-button controls on the steering wheel, and in a larger 8-inch touchpad in a center console. USB ports and Bluetooth capabilities allow basic commands on music players and mobile phones to also be operated through either the touchpad or voice-control. The whole MyFord Touch system can also be updated with a swipe of an SD data card. can share the wealth. When the car is parked, the eight-inch screen turns into a Web browser. Only when parked. Remember, no driving and surfing. 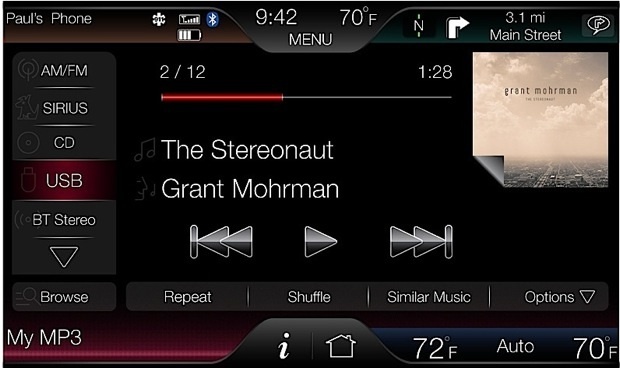 But that got us thinking…Ford Sync was original touted for its safety features since it replaced buttons and knobs with voice-command options and a wide, easy-to-read screen. Now they’re giving drivers even more distractions? Really? 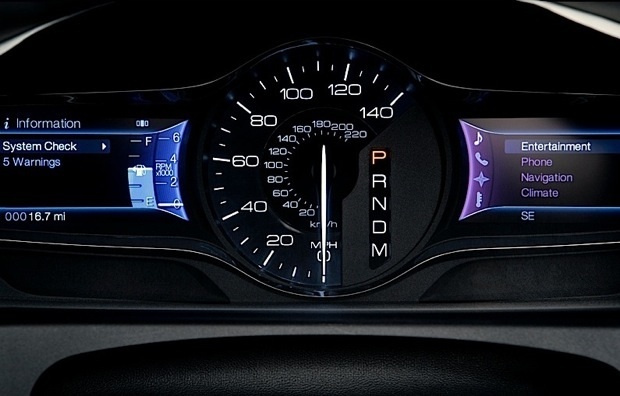 interface that was clear enough to safely be glanced at while driving, but complex enough to accommodate a range of applications like on-board mapping systems and video players. It does look pretty nifty and it includes some features we never knew we needed: Engadget’s got a hands-on demo that includes–yippee!–the ability to change the car’s ambient lighting! 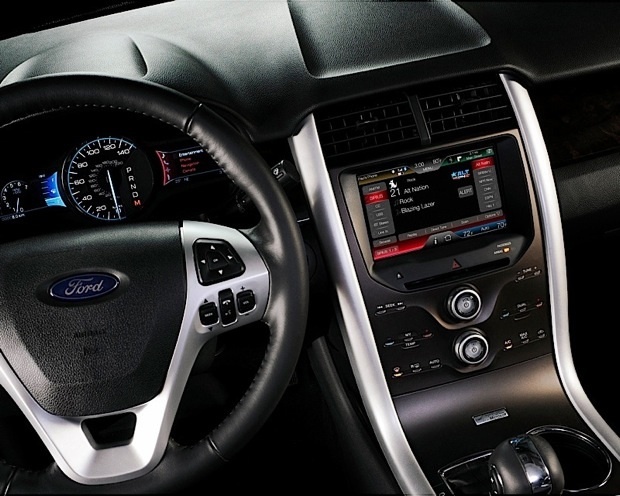 The MyFord Touch will be available on the 2011 Ford Edge and 2012 Ford Focus.